STUNNING STATEMENT WORK! 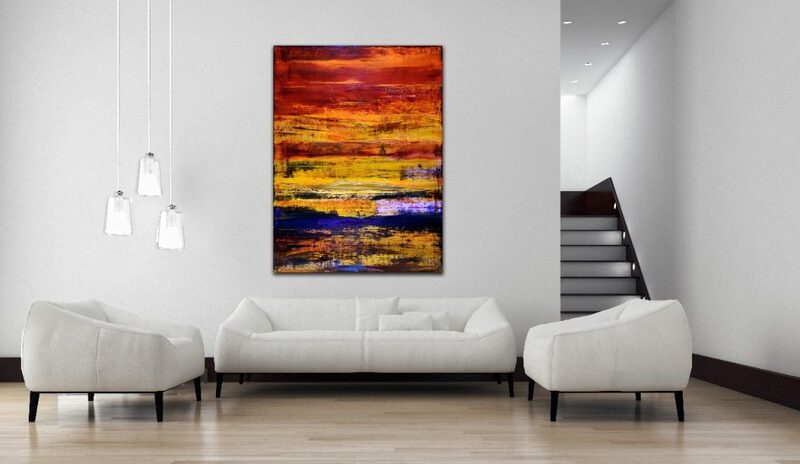 Iridescent volcanic spectra is a vibrant warm colors abstract landscape colorfield. 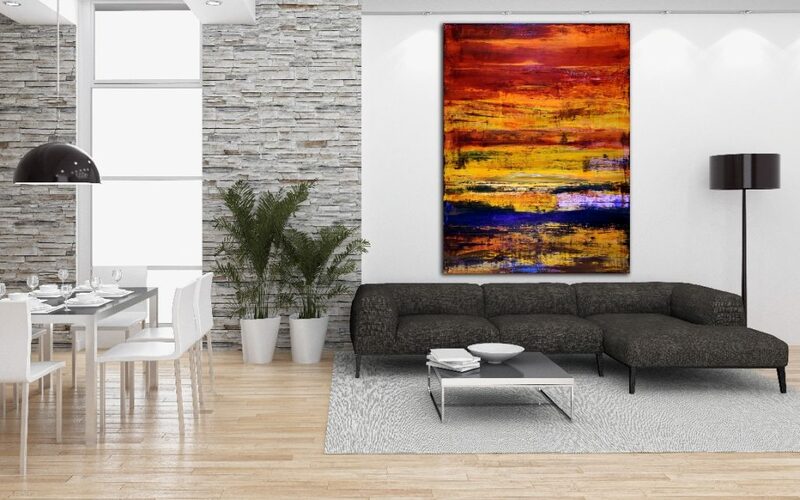 Beautiful colours blend with iridescent mediums for a striking effect. 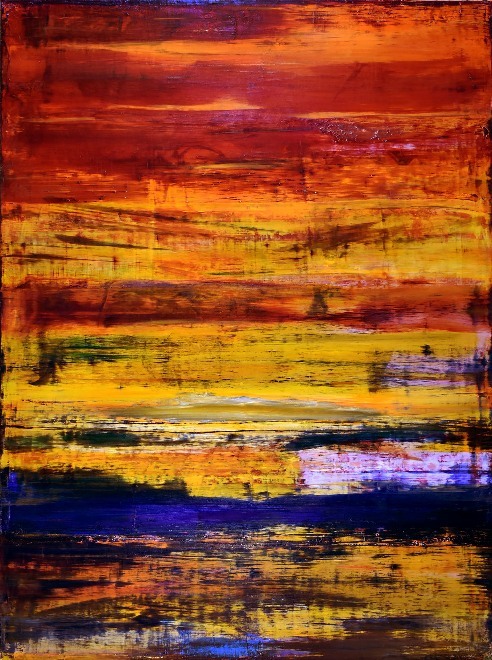 This painting was completed using spatulas instead of brushes, this gives a very smooth and even texture to the piece. 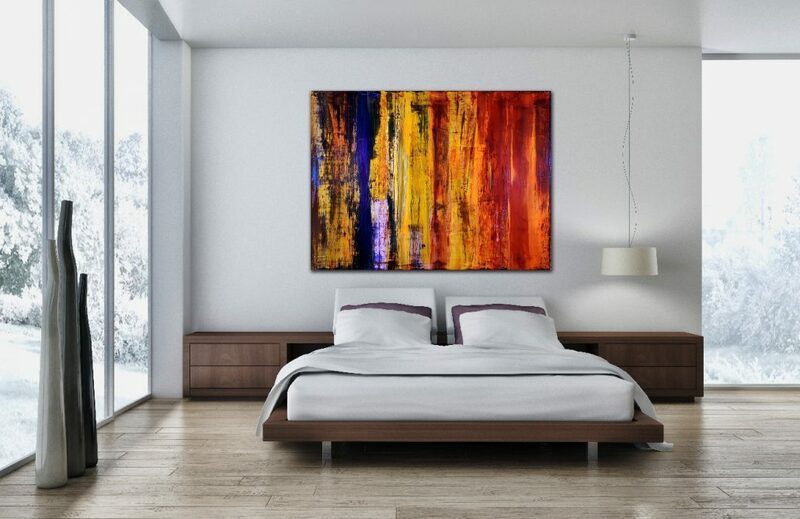 This painting is very iridescent with Orange, purple and blue iridescent hues. Can be displayed two different orientations. 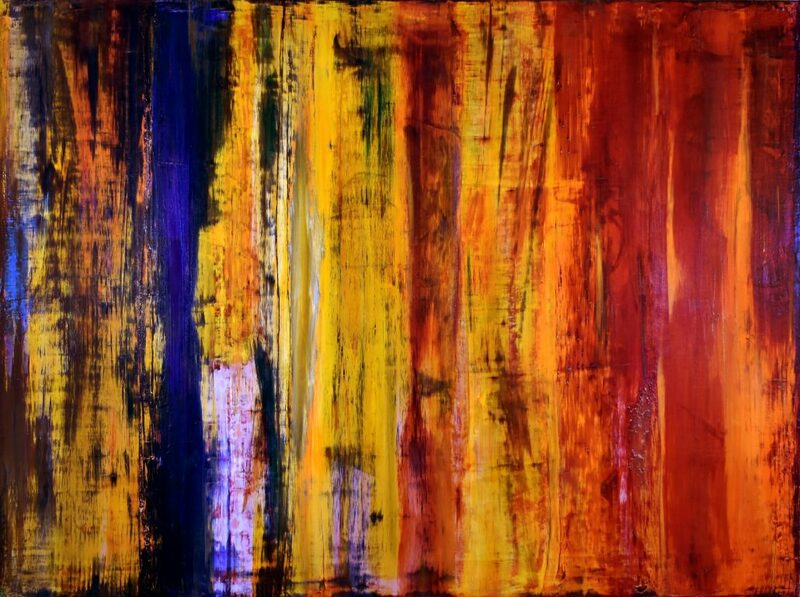 Deep edge canvas.